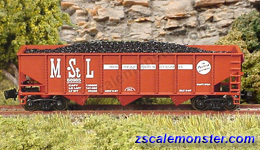 The Minneapolis and St. Louis Railway (MSTL) was an important regional RR Line, running freight and passengers for 90 years, from 1870 to 1960. Serving lightly populated settlements of America's Midwest, the M&StL was protected from bankruptcy by the government until WWII. One of it's Mainlines ran from Minneapolis, MN southward through IA to Peoria, IL, while another ran westward into eastern SD. In 1960 the M&StL was acquired by the Chicago and North Western Railway which, later in 1995, was purchased by the Union Pacific Railroad. Peabody Energy Corporation headquartered in St. Louis, Missouri, is the largest private-sector coal company in the world. It's primary business consists of the mining, sale and distribution of coal, which is purchased for use in electricity generation and steelmaking. 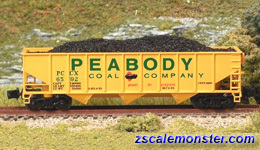 Peabody also markets, brokers and trades coal through offices in China, Australia, Germany, the United Kingdom, Indonesia, India, Singapore, and the United States. The coal produced by Peabody Energy fuels approximately 10% of the electricity generated in the United States and 2% of electricity generated throughout the world. 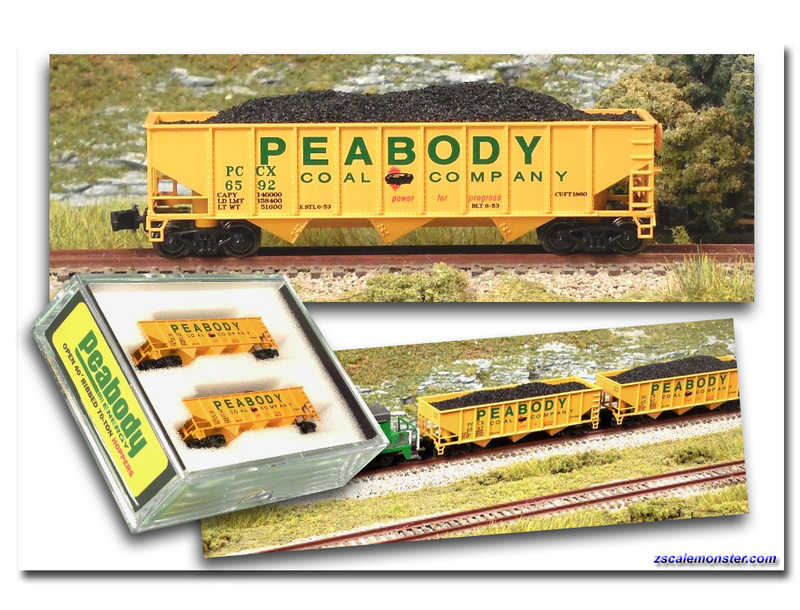 Peabody markets coal to electricity generating and industrial customers in more than 25 nations on six continents. 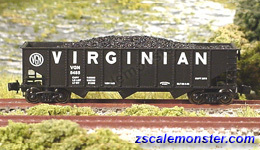 The Virginian Railway (VGN) was created in 1907 to haul quality "smokeless" Bituminous coal from previously untapped Southern West Virginia through Virginia to it's Atlantic ports at Hampton Roads! It's great success was due to the clever engineers who designed the route as straight and flat as could be, as if the Virginia hills did not exist. With this modern infrastructure and fleet of Fairbanks-Morse diesels, the VGN became the model of efficiency, out-competing it's much larger rivals. Long lusted by the N&W, the VGN merged with them in 1959. 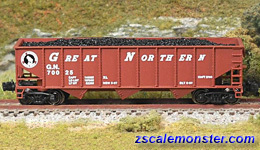 Eventually, as part of the Norfolk Southern, the VGN was mothballed in 2015 because of the lack in demand for coal shipments. 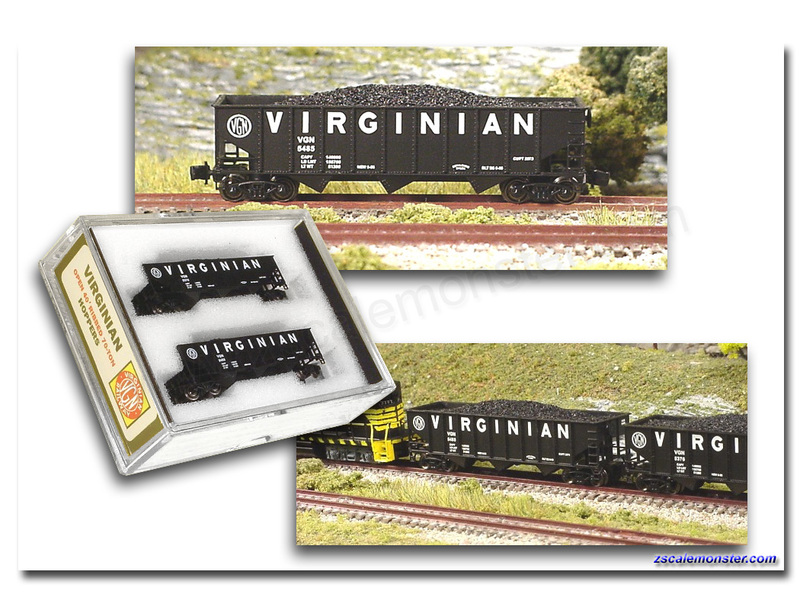 Full Throttle brings you a pair of VGN 70-ton hoppers preferred for the trip across Virginia. 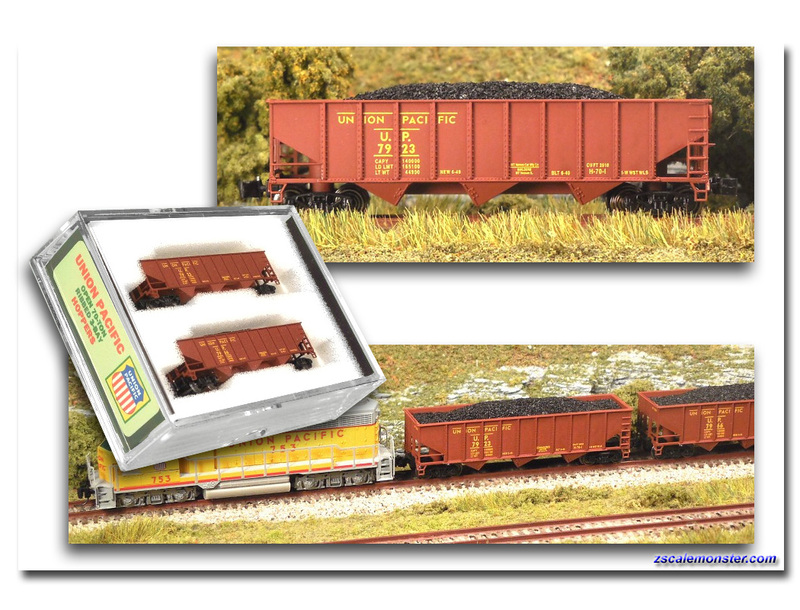 Hay Brothers created the Coal loads. 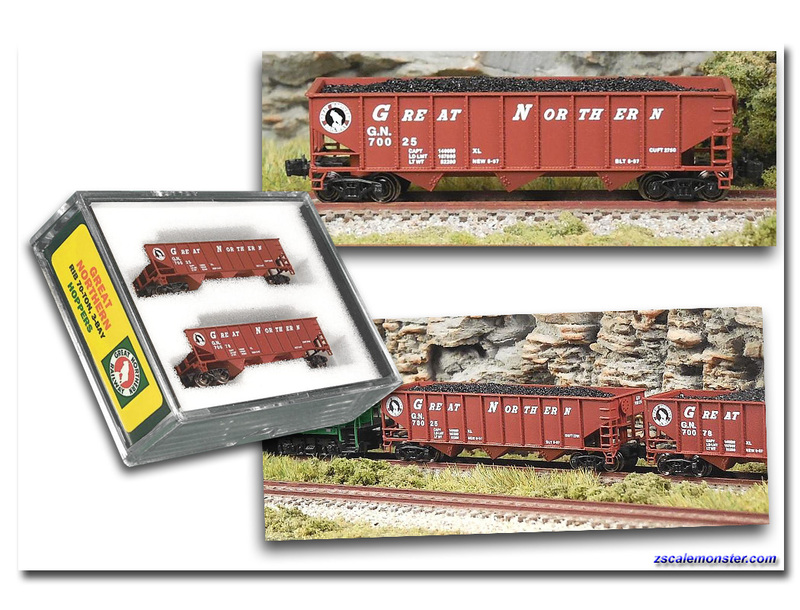 Great Northern Railway was a colorful transcontinental Rail Line (1857-1970) which ran from Chicago northward along the USA/Canada border, serving both nations, and to Washington, Oregon and California on our West Coast. It's famous herald was of a mountain goat within a circle. It eventually merged with NP, CB&Q, and SP&S to form the Burlington Northern Railroad until 1996 when the BN merged with ATSF to become BNSF. The UNION PACIFIC (UP), headquartered in Omaha, Nebraska, is the largest Railroad Network in the USA, operating 8,000 locomotives over 32,000 route-miles west of the Mississippi River! Begun in 1862, UP grew by acquiring, one-by-one, almost all the large Rail Companies of the Western States. UP and competitor BNSF have a duopoly on all transcontinental freight rail lines in the USA. 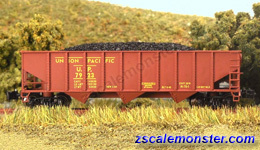 UP ran a fleet of the 70-Ton Hoppers from the 1930's through the Diesel Era of the 1960's when even larger hoppers were constructed and rotary dumping came into favor. 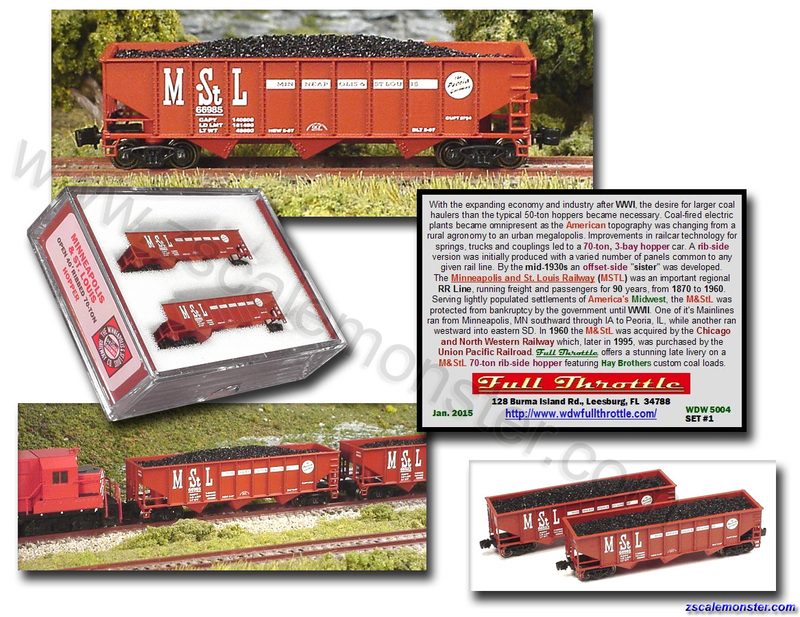 Here's a Special Edition of Rib-Side, 70-Ton, 3-Bay Hoppers from Full Throttle with coal loads crafted by Hay Brothers. The set #2 is in very short supply so purchase wisely!